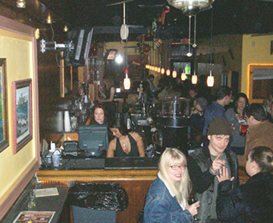 The Rumba Café (not the Rhumba) has established itself as one of Columbus’s finest live music clubs in its first decade of business. They feature a healthy dose of jazz along with an assortment of alt country, funk, rock, and soul — often six nights a week. 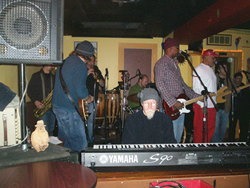 Regular favorites include the legendary Hoo Doo Soul Band, whose weekly Sunday night shows are known as a great hang for jazz musicians, and the Tony Monaco Trio. As Nick Chordas of the Columbus Dispatch put it, “The decor is eclectic and the atmosphere warm and inviting — not unlike a friendly local joint you wander into while on vacation.” Come in, kick back, and get away from it all.